“I’ve suffered for my music… now it’s your turn!” – Soundshine out today! Posted: March 26th, 2012 | Author: David | Filed under: post | Tags: bubblegun, chorus, jellyfish, merrymakers, neil innes, release, soundshine | Comments Off on “I’ve suffered for my music… now it’s your turn!” – Soundshine out today! Here we are now… this is it! Today’s the day! The wait is over! My solo debut album Soundshine is released! You can now also support the music and get your own copy of Soundshine (digital or physical) by clicking “Store” above (shipping all over the world). You will also find it on iTunes Store, or through my various record labels Lojinx (U.K./Europe excl Spain), Rock Indiana (Spain), Thistime Records (Japan), or my North American distributors Kool Kat Musik, Scandipop , or CD Baby. For those of you who would have preferred me to write about some of the stuff mentioned above I encourage and welcome you to browse through the old entries in my blog here on my official web page which covers my activities over the last twelve months and to follow (by “liking”) and read my status updates on my Facebook page that goes back 21 months which was when the first notes on Soundshine were recorded. Thanks everyone who showed up at the Stockholm release party for Soundshine on Wednesday last week! 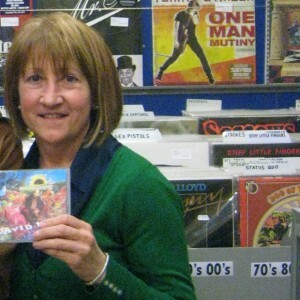 Thanks also to my band, and thanks to Strand! Here below you can find a slideshow with pictures from the evening. The majority of them taken by Jonas Förare, and a couple by Magnus Jäderbo. Thanks for sharing!!! 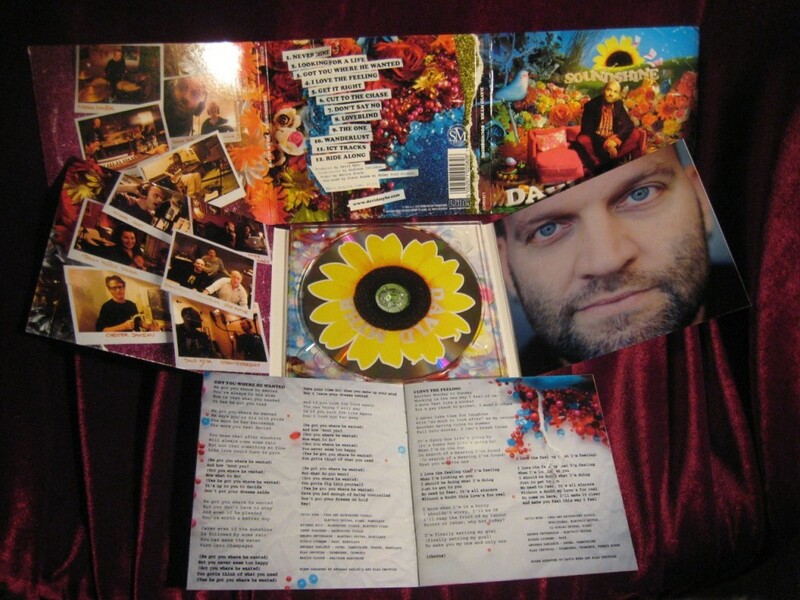 Those of you who missed buying a CD the other night can now do it by clicking Store in the menu above. Next stop on my Soundshine release tour is London! 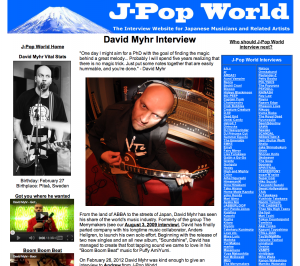 See you on March 31 at Pugwash, David Myhr & Farrah @ The Borderline! 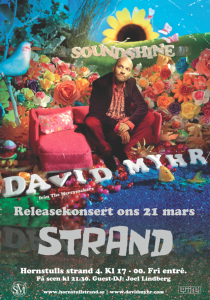 Swedish release party for Soundshine in Stockholm on March 21! After having celebrated the release of my album Soundshine in Japan in January which was documented in a series of blog posts starting here and and in Spain just last week the time has now come to my home country Sweden! This will be celebrated on March 21 at a restaurant on hip and happening Södermalm, Stockholm, called Strand Hornstull. You can read more about the release concert (in Swedish) by clicking the poster below or join the Facebook Event here – and everybody’s welcome! I will be performing with a full band which of course always is a luxury. This time the band is consisting of Johan Bergqvist (The Genuine Fakes), Robert van der Zwan (Poplabbet), Michael Ottosson, Erik Jonsson (The Fix), and Zacharias Ahlvik. The show will feature guest appearances from a couple of my co-writers on the album, Peter Morén (Peter Bjorn and John) who co-wrote “Icy Tracks” with me and Stefan Petersson (Mother James) who co-wrote “Wanderlust” with me. Both potential future singles according to rumors within my own band! Also Jenny Sandgren who sings backing vocals on “Got you where he wanted” will help us out on the particular song. The album is released in Sweden by Lojinx – a label which I’m very happy to have signed with – this coming Monday and it will be distributed in Sweden by Border Music. 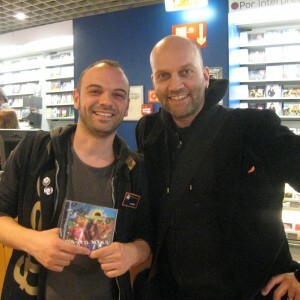 Also Lojinx is releasing the album simultaneously in the rest of Europe (excl Spain). Pre-orders can be made already now (shipping all over the world!) at the store on this very web page. With the release of my solo debut album Soundshine only two weeks away – here’s another song in my small series of acoustic cover versions that is available for free download. This time I’m paying tribute to “the greatest band you never heard of” – The Mommyheads! Please enjoy my version of their precious song “Jaded”! Just like in the case of my earlier acoustic cover versions of ABBA’s “Happy New Year” and Tom Petty’s “Wildflowers” this is a very stripped down recording – one voice – one guitar. Usually I find it very tempting whenever I record to double-track my vocal, add layers of harmony vocals, lots of guitar and keyboard overdubs. To see what it sounds like with only one voice and one guitar is a scary experience of course, but it’s always good to remind yourself of that old cliché that “a good song should work even when accompanied only by an acoustic guitar”. And that certainly goes for “Jaded”.